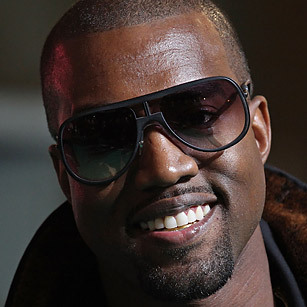 The fact that Kanye West's long-awaited fifth studio album, My Beautiful Dark Twisted Fantasy, was one of the best-reviewed releases of 2010 is almost beside the point: over the past year, West went from being the bête noire of music-video awards shows to the most popular and confounding person in social media. More than 2.8 million Twitter followers receive his rambling, oddly compelling rants on fame, fortune and fur pillows. Sure, Lady Gaga may have more Twitter followers than anybody on the planet, and I'mma let you finish  but West might be the biggest celebrity of all time.